Love this app. You can pull out the app as you’re hiking and the blue dot will show your location on the trail. Of course that’s as long as you have internet access. Love that it tells you difficulty, length of trail, shows a moving scale for elevation. Also, even trails that are not listed are all marked on the maps. Great app. Love it!! Makes hiking logistics so much easier. I never do reviews on apps, cause I never really care to, but this app is just super cool to me! It’s easy to use, I love that it rates the hikes for you, so you know what you’re getting yourself into! People rate the hiking spots! It’s great if you get bored with the same old spots, and don’t know where to go!!! Not a good way to spend time on vacation with gunfire dominating from a firing range, hundreds of people navigating and as we arrived a search and rescue team evacuating someone. Not relaxing, totally exposed and footing requires attention so you cannot take in view. Good workout but that’s about it. 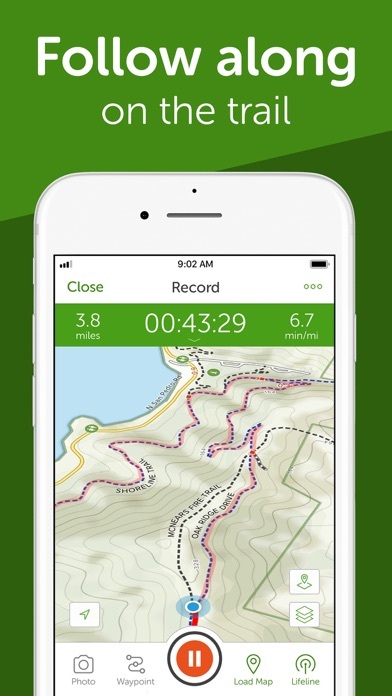 Most resourceful hiking app ever made! 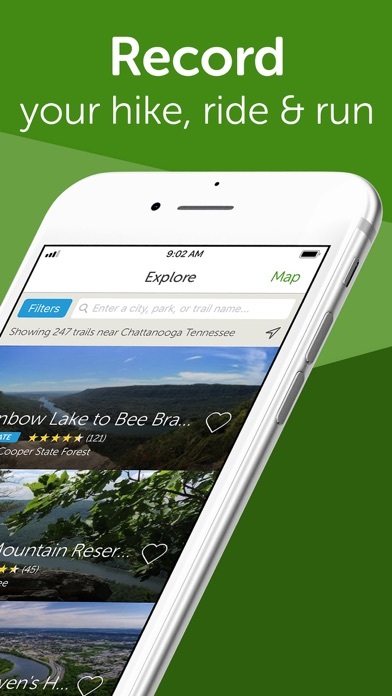 You can locate any trail, creek or waterfall near you in seconds. 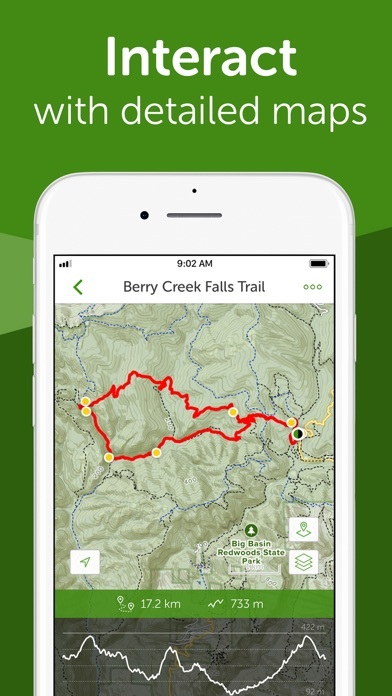 You can track you hikes (elevation, speed, distance, pace, etc), look at pictures of the trail before you decide to go, and you can review the trail you visit to give others an honest opinion of the trail. 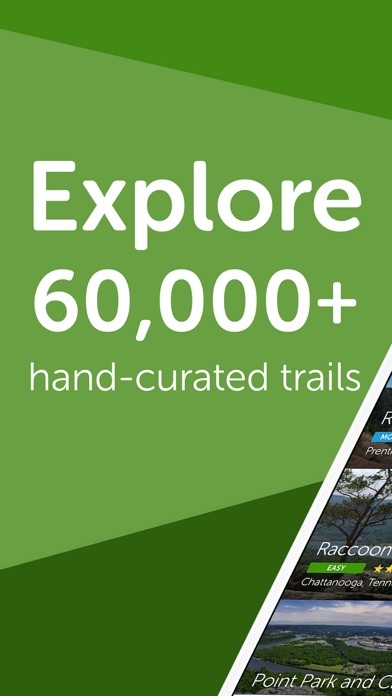 This app is so user friendly and has made hiking so fun. I always keep gym clothes in my car. I can hike anywhere I go even while in vacation since the app is location based! Please download, joint the community and SHARE!! Wish could search trails that are the same but may have been listed under a slightly different name or starting point so they show up together so it is easier to find the beat starting points. 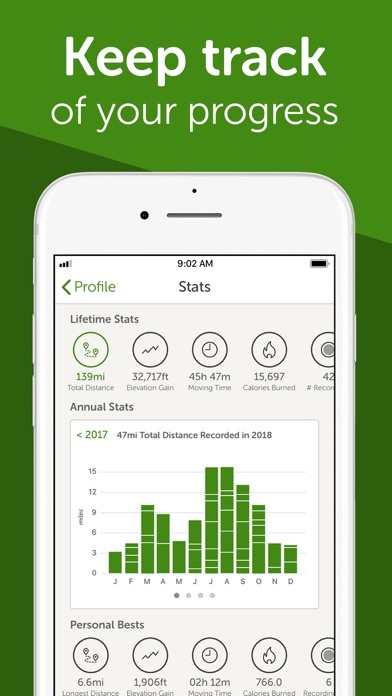 I love this App has so many options and you can record your progress and follow the trail so you won’t get turned around, the app gives you maps of all trails over the US, awesome. I have experienced several times that the information is inaccurate. Trails have not been where they were described to be. Some were inaccessible due to overgrowth. One was walking through a neighborhood, hardly a hike with desirable scenery. Ask around prior to venturing to a faraway place only to be disappointed.